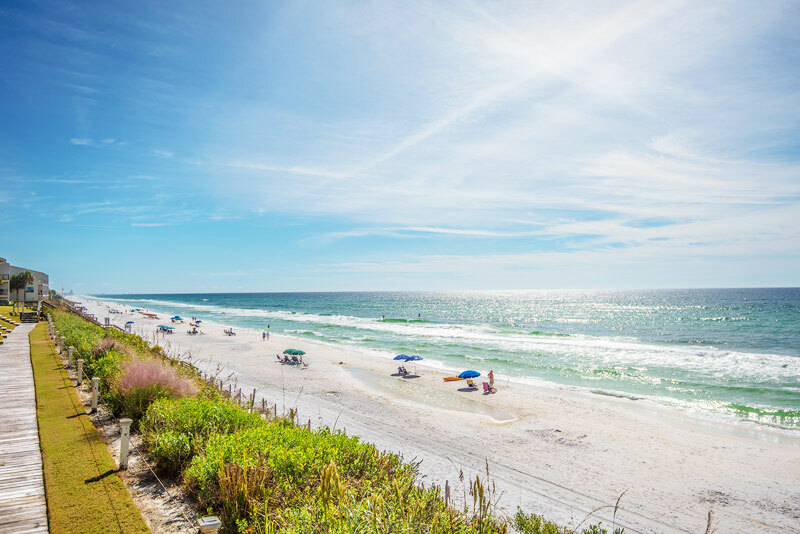 Blue Mountain Beach, with its hilltop dunes, presents spectacular views of the South Walton coastline. This special part of 30A is named after its native blue lupine flowers, and is known as having unbelievable sandbars for fishing and surfing. Blue Mountain Beach offers delicious food choices, beach boutiques, art galleries, and a small general store, all convenient to our Blue Mountain Beach rentals. Don’t forget to try the best homemade ice cream in the south at the Blue Mountain Beach Creamery, a very popular hot spot on 30A. And for some super healthy food (and a super smoothie just a hop and a skip from the beach), you’ll want to head on over to For the Health of It. To be sure, there is something for everyone on beautiful Blue Mountain Beach.